"I am 77% optimistic given that we have 23% in cash and the approach is bottom up." 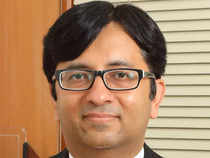 Rajeev Thakkar, CIO, PPFAS MF, says with the election season coming in, concerns over valuations, tightening liquidity and interest rate cycle will be hogging the limelight. Thakkar tells ET Now that he would be hunting for only quality stocks. We have come out of a fairly volatile month of May especially with the midcaps and smallcaps. What do you expect June onwards? I was just going through our past fact sheets. From April 2017, we started holding about 17% cash and today, we have about 23% cash. We have been cautious on the market. Hopefully, like a broken clock I will give the correct time twice a day! But yesterday there was an Avenue Supermart analyst meet. It is a great company with a great promoter and everything is fine but at 125 earnings, I do not see how one can justify a buy. Forget a buy, even holding on to such companies is difficult! This is just one random name. You can talk about Page Industries or Gruh Finance or anything to do with consumption! Is the market getting polarised with the expensive names getting more expensive and the differentiation in valuations getting stretched further? The correction to start with was in bad quality names where there were governance issues. Some fraudulent companies where auditors have resigned have fallen out of favour. Quality names are still expensive and all the indicators clearly say liquidity will be tight. The Fed is reducing its balance sheet. QE is coming to an end by 2018 and we are going into next 12 months of tightening cycle. Plus, we are going into election cycle in India which is always jittery for the markets. Would you say that valuation is the key concern in the broader markets right now? There are three concerns – valuations, tightening liquidity and interest rate cycle. For India, with election season coming in, these three concerns will be hogging the limelight. What is your overview? Are you cautiously optimistic or are you cautious? I talk in percentage terms. I am 77% optimistic given that we have 23% in cash and the approach is bottom up. We are very company specific. We look at each company on its own merits and valuations levels. From a broader perspective, we are not in a cheap market and we are going into a tightening scenario. At what point then either an index level or a market indicator would you want to deploy this 23% cash that you are sitting on? Cash is a residual position for us. We are not looking at a particular index level or particular index multiple. If a particular company is attractive regardless of whether the market is expensive or not, we would go out and deploy. Even last year, when we had increased our overall cash levels, we actually bought companies. We stopped looking at buying opportunities but historically what we have seen is 12-13 times earnings multiple are screaming buys for the overall market on the index level. Any time we are closer to 23, 24, 25 times, that is a sign of caution that we are closer to the upper bound of the valuation levels for the markets. The smallcap and midcap space despite the ups and downs are still expensive. Where do you think the next wave of correction within mid and small cap is going to come from? We are down 9-10 odd per cent within smallcaps in just the last month gone by. Will there be a second leg of correction at all? An upmove is usually a product of optimism as well as the stories coming out on earnings growth. This time, it is different and backed by a lot of cheap money. Omce cheap money goes out, automatically people come back to their senses. As long as money is there in the bank account, you can buy anything and even overvalued thing can go up. When people do not have money, we have seen only outflows in the debt segment from FIIs. We have not seen any significant selling in the equity space so far. If that were to turn, then a lot of froth would to go away. Pharma and IT are the alpha opportunities now. There might be a news on Dr Reddy’s and the whole pharma pack will suddenly rise. That is also a typical case with IT. The rupee is favouring them. Do you think that for an alpha manager it is time to go in? The train has started moving. We have been buying into this space over the last 12 months and even before thinking that a lot of pessimism is built into it. The rupee is helping them, the quality issues are seemingly behind the pharma companies and overall developed country growth is positive for IT space. These will do well but one should not try to catch a running train or just get on at whatever point. But with pharma, is it really a running train? True, it is early stages. It is early stages and if you were to take a strong position on pharma today, given the news flow and I am not saying this is a foregone conclusion but six months down the line you could benefit? You could still see a chunk of the upside. So where else outside of IT and pharma, is there opportunity given the polarised nature of the market where the index is only 3% off from its high? The opportunities will come in individual companies rather than the overall sectors. Many a times, selloffs are indiscriminate. People do not see whether this company is overvalued or not. Whenever the selloff comes on the back of either equity redemptions from mutual funds or because of F&O margin calls or selling by lenders, then that selling is indiscriminate. If one has cash, one will find plenty of opportunities in the next 6 to 12 months given where we are headed. Where would you hunt? Would you restrict yourself to quality which is looking expensive? Or would you try and play the bottom up stories where there is hope and anticipation? Some quality names will start trading at attractive valuations. Some of them are coming close to buying levels. One should stay away from the bad quality names. What happens is that a lot of people are living on leverage and we have seen how banks are getting tough in terms of appointing auditors to do forensic audits. Whenever there is NCLT resolution, stock prices effectively go to zero because only the lenders get back part of the money, equity shareholders get nothing. We have seen how people are saying we will do buybacks and then reneging on that and auditors resigning. The market will be brutal for low quality names; high quality will be the buying opportunity. I have seen ICICI Bank and Axis Bank in every portfolio though we know what is happening with the business, we know that the stocks have not performed. The premise for a lot of fund managers was the fact that things will turn around as the corporate cycle picks up and investment-led demand will drive these companies’ businesses given their profile. But why is there such a high conviction among fund managers to have an allocation? I can understand the HDFC Banks of the world and SBI as well, but why ICICI Bank, Axis Bank? The question we have today is do we buy a HDFC Bank or a Kotak Bank at 4.5-5 times price to book or do we buy ICICI Bank or Axis Bank at maybe one to two times book. Is the problem so severe that after writing off all the losses, after having a clean balance sheet, they will still be far more expensive than the other ones? It is true that a Kotak or some of the newer banks like RBL, IndusInd and Yes Bank would have lesser NPA problems. But, I would argue that since the retail franchises of lower value have to purchase CASA by paying 6%-7% on the savings account, players like ICICI Bank and Axis Bank have had a big legacy of large retail operations. They have numerous branches, customer base, additional businesses, especially in ICICI in terms of insurance, mutual fund, stock brokerage, distribution, merchant banking. All those franchises are under a cloud because of the NPA and management issues. This is not a promoter run company where the promoter owns 60% and you cannot do anything to him. Government nominees are on board and there are plenty of capable people who can step up and run the bank. I do not see that as an issue. Do you have a positive view there? It is among the smaller holdings in our portfolio. HDFC Bank is 6-6.5%, these put together would be about 3%-4%. You also have an exposure to some of the FANG stocks and the reason I bring that up is because while what our market is doing is one story but look what is happening across US equities and especially in NASDAQ. Just last night, we are sitting at an all-time peak. Is the valuation concern not valid for the FANG names? So, what valuations do these two companies trade at, Alphabet and Facebook? At their peak valuations, don't they? Do you have a number, let us say price earning multiple? These would be maybe a quarter of Avenue Super Mart’s valuations. So, you are waiting for them to scale up to Avenue Super Mart level and then maybe sell out? What is Alphabet's valuation? It would be about 25-30 times earnings. Are you talking about a business which is a multiple of any business in India? At that market cap, having a valuation of 25 times the GDP is significant. For them 25 times is a lot more than for us at 25 times. Absolutely. The reason why people get worried is the headline numbers. All these companies are close to trillion-dollar valuations -- Apple, Amazon, Microsoft.Netflix and Amazon you cannot value on earnings. Those are looking very frothy but Facebook and Alphabet you can value on conventional basis and they are not looking expensive, especially when you account for the fact that Alphabet is spending billions and billions of dollars on products which are not earning them any revenue right now. So, these numbers are after expensing out all of that. If something like the Waymo self-driving car or some of their device plays -- Google Home or phones and notebooks -- which are currently not earning anything for them hit off. You have a free lottery ticket in your hand. At any point in time, would you look to reduce your position? Not right now, for sure. You believe growth is intact and the valuations are justified? These are growing at north of 25 times in dollar terms and that is in terms of top line revenue. The volume is usage is even more. It is close to 40% CAGR in terms of number of clicks, time spent on their sites and all of that.